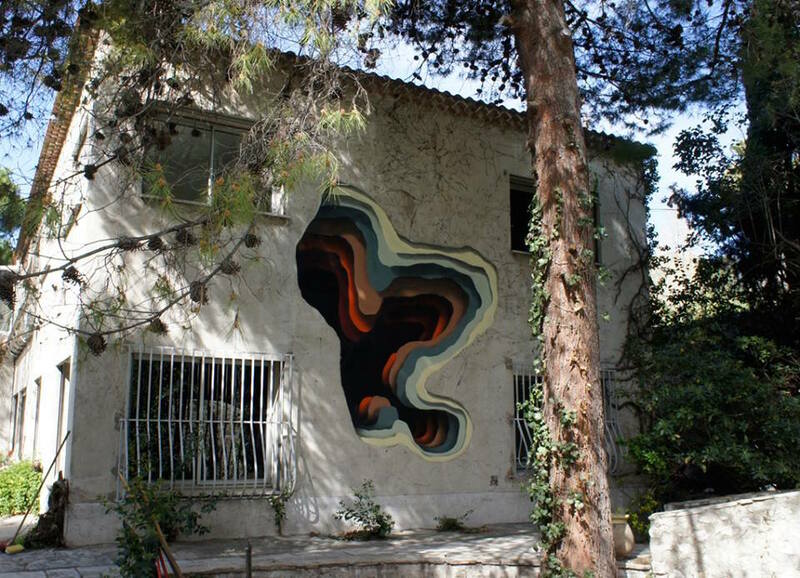 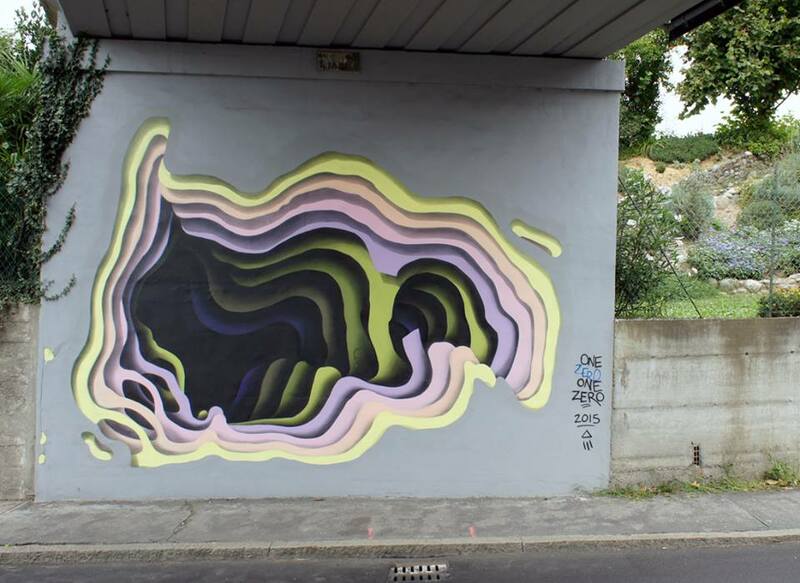 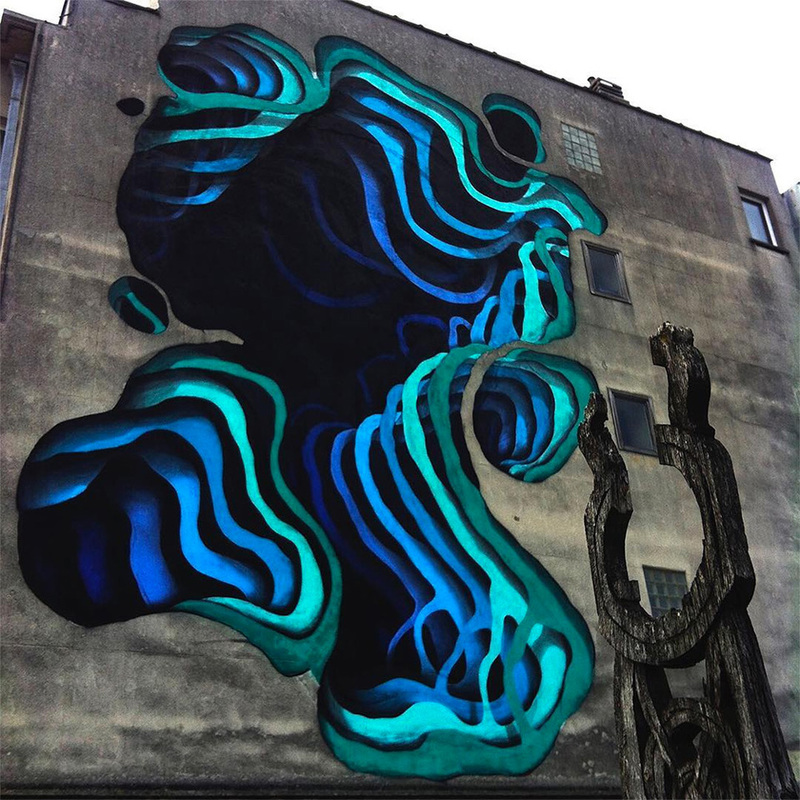 German street artist 1010 paints murals that seems to disappear within the walls on which they are painted, each work an optical illusion with brightly ringed shapes. 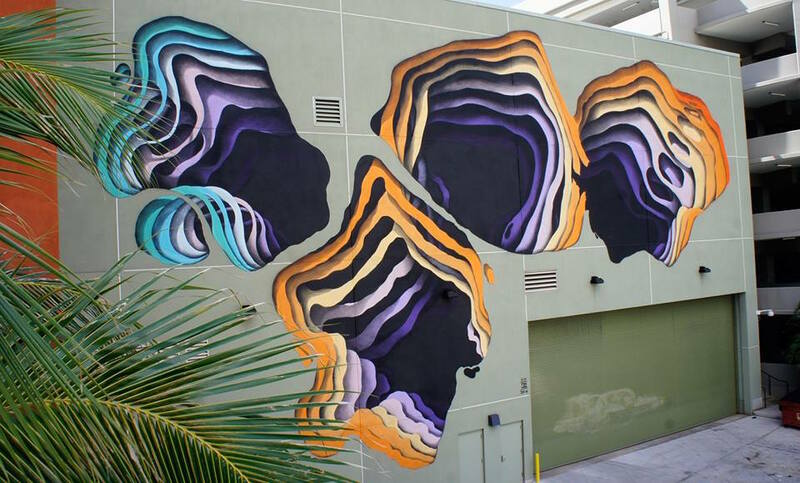 The effect is a 3D cavern on a solid surface, produced by 1010 layering 6-10 warm or cool shades on top of a dark background or center. 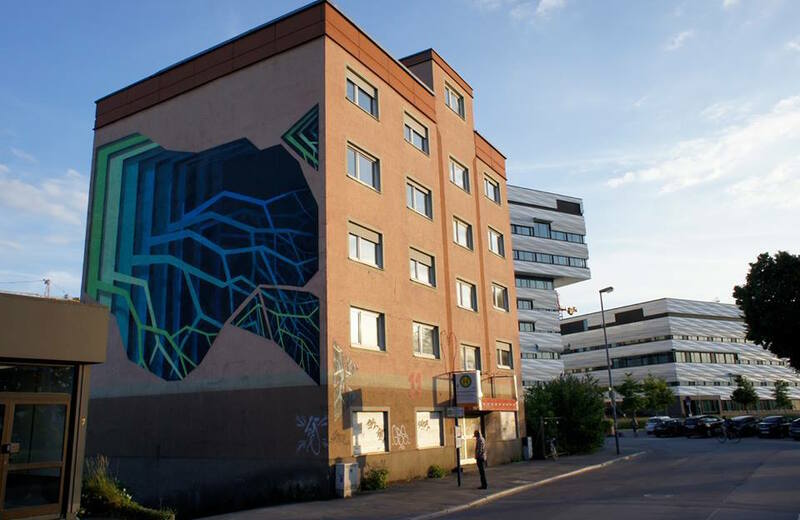 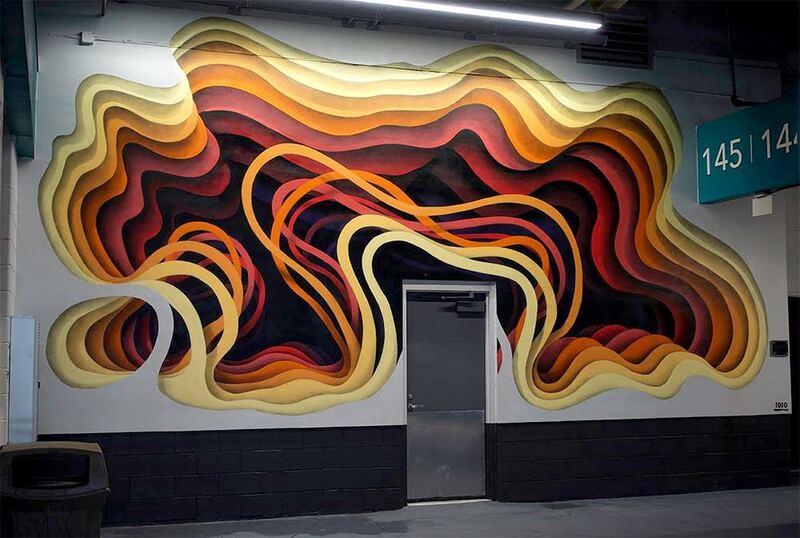 He has recently applied this technique across the globe, including a mural for the Backside Gallery in Marseille, France and a work on a large public building for this year’s POW WOW Hawaii Festival in Honolulu.